Well, three years later the “renaissance” is in full bloom. There’s still a strong sense of community where “everyone promotes each other.” That hasn’t changed. But now, it’s not just wine lovers who will find Nirvana here. 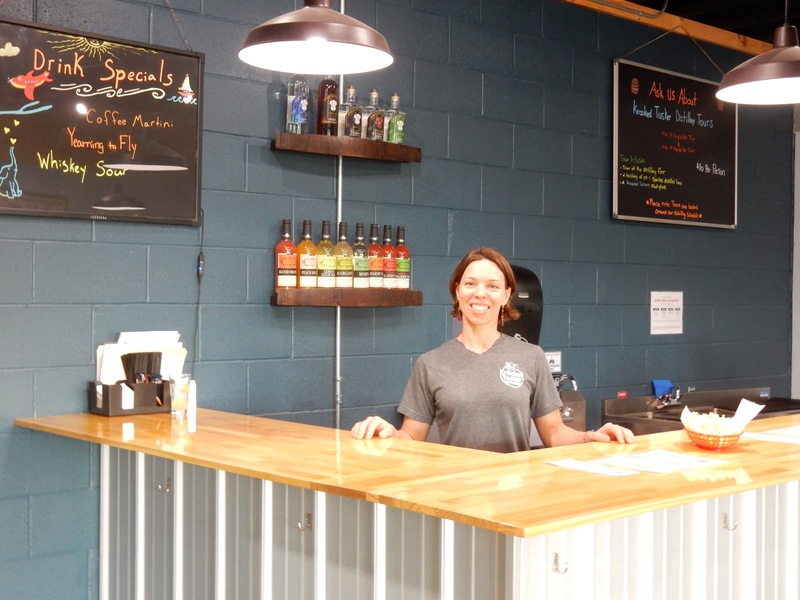 Tastemakers in beer and the harder stuff can discover new breweries and distilleries in the FLX mix. What else has changed? What’s stayed the same? 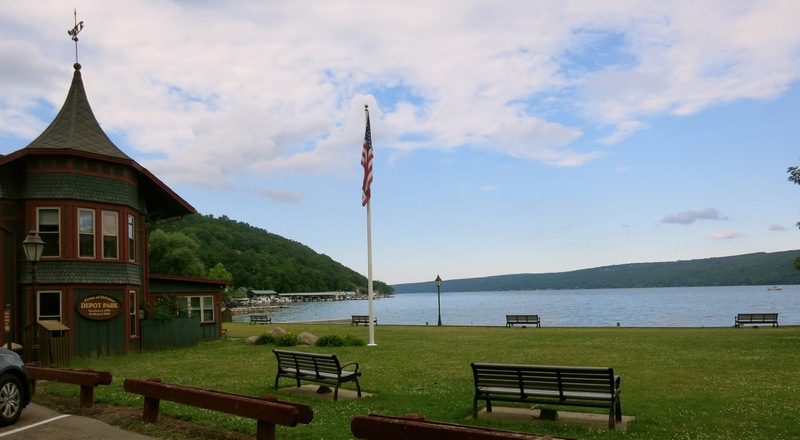 Read on for some more recommendations to get the most out of a quick overnight around Keuka Lake in the Finger Lakes. This Getaway lets you in on the origins of European wine in the Eastern USA, a museum that celebrates one of the country’s most unsung but ingenious inventors, the world’s premier Museum of Glass, and a surprisingly amazing restaurant/inn where you’d least expect it. 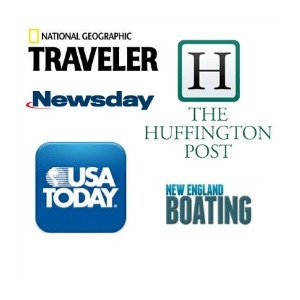 Read on for the best, updated advice from the Getaway Mavens. VISIT: Dr. Konstantin Frank Winery. You wouldn’t expect the genesis of European wine production in the Eastern United States to be so off-the-beaten-path. But over 70,000 people per year find this vineyard on a just-paved road above Keuka Lake. Until the 1950’s, only native grape varieties – Concord, Katoba, Delaware, Niagra – called Vitas Labrusca, could grow in this cold climate. 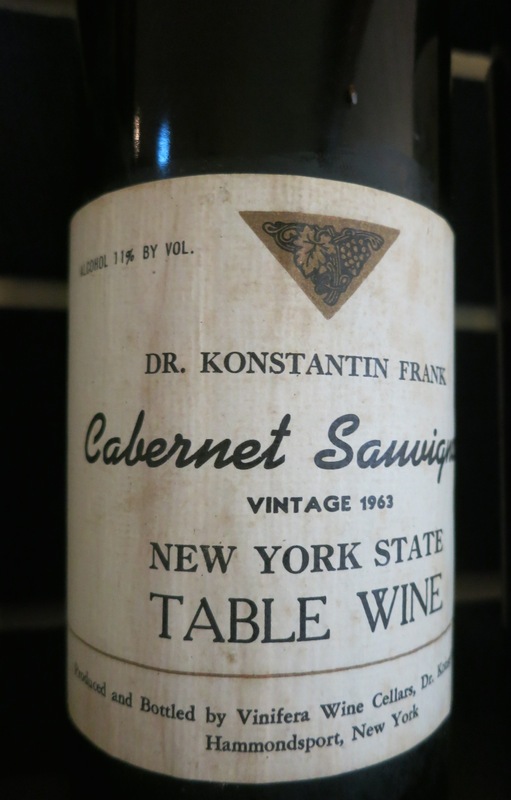 But fine wine production took a quantum leap forward when Dr. Konstantin Frank, a PhD in viticulture working at Cornell Agricultural Experimental Station, began planting European vines here in 1958. The cool climate, similar to Northern Europe, lent itself to Rieslings, Gewürztraminer and Grüner Veltliner. Frank soon discovered that a pesky bug, Phylloxera, killed Vinifera roots but Labrusca roots still thrived. Frank posited that by grafting Vinifera vines to Labrusca roots, he’d be able to grow European wines in the States. Cornell did not agree, but his theory caught the attention of neighboring Gold Seal Winery, and Frank was proven correct. Generous with his knowledge, Dr. Frank spread the word to neighboring states. Now, third generation Fred Frank runs the vineyard with his Winemaking daughter, Meaghan, fast on his heals, expanding the winery offerings to include the less expensive “value” label, Salmon Run. The L.A. Times just rated Dr. Frank’s Reisling #1 in the world, three wines were rated 90 in the July issue of Wine Enthusiast Magazine, and Dr. Frank finished 2013 with 129 Gold Medals in National and International competitions. And here’s a tip from an award winning winemaker. Some whites, like reds, age gracefully and improve and get more complex over time. Taste a couple of times a year just to make sure they are not turning. “We’re still opening up Rieslings from the 60’s,” says Frank. Due to its remote location, there is no tasting fee here. Come and sample away, and you’ll leave with some great history about the region and Dr. Konstantin Frank. Tasting room open Mon-Sat 9-5, Sun 12-5, free. And brand new this year – wine-pairing dinners Fri, Sat and Sun include tour of vineyard and 4 pairings of wine and food. 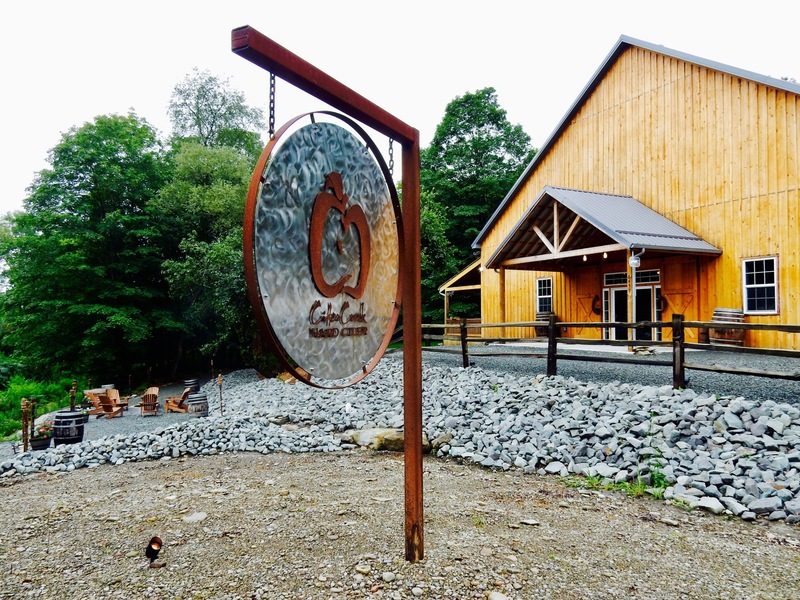 VISIT/TASTE/PLAY: Cider Creek Hard Cider, Canistio. 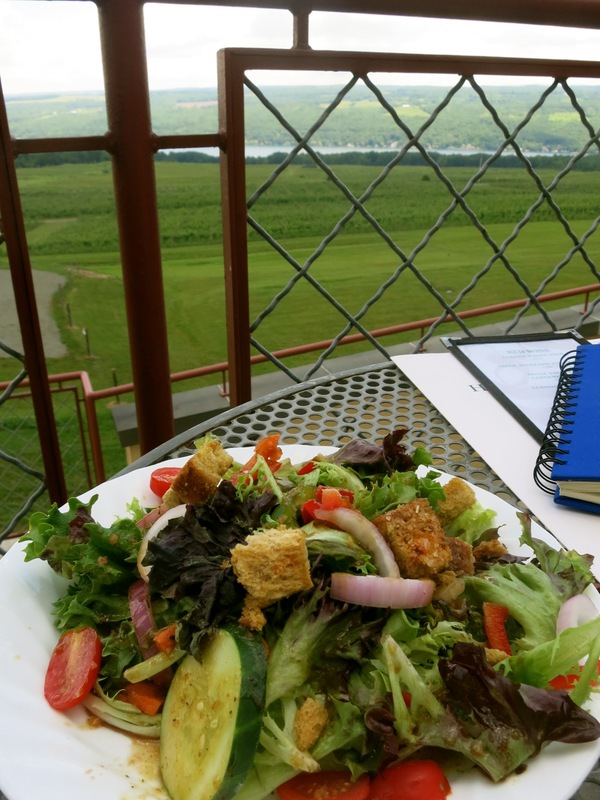 From Hammondsport, you’ll drive about 40 minutes on breathtaking country roads, passing wind turbines, silos and farmland, climbing and descending hills, to get to this cidery. But once here, you’ll want to stay for a bit. The setting is stunning- with Adirondack chairs on a patio overlooking a rushing creek, a large lawn anchored by a newly built stage (for live music), and a humongous tasting/event barn with a farm-industrial-funky interior, colorful mood lighting, barn-wood backed bar with reclaimed wood from the family farm, and a stone fireplace built entirely of rocks pulled out of the creek. Born locally, owners, Kevin and Melanie Collins lived in Boston where Kevin home brewed beer and established relationships with local breweries and wineries while working in the Dental Implant business. Kevin’s father, “a surgeon by trade, and hobby farmer with 300 head cattle,” wanted to establish a business to sustain his 2,500 acres of land here, and settled on opening a cidery, which Kevin’s brother, Chip, operated. 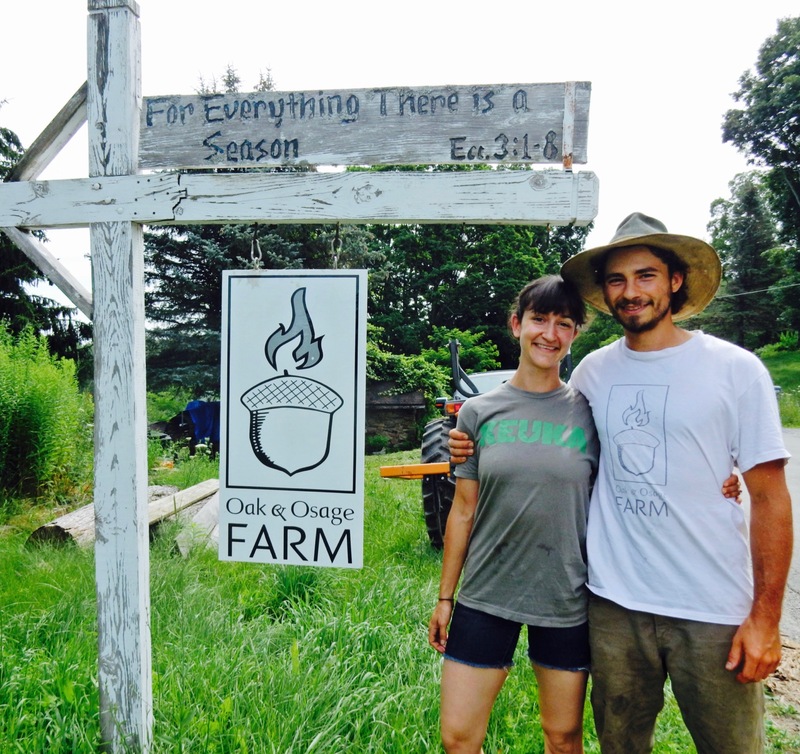 Chip’s untimely death propelled Kevin to move back home from Boston to run Cider Creek. There’s always something new brewing here, and patrons find new favorites all the time. “One in A Million” is a Saison with watermelon puree for summertime. Cran-Mango Cider is so, so easy to drink. Spy Games is made with 100% Northern Spy Apples and Champaign and Sasion yeasts, Saison Bratt – a puckerish sour – just won Gold at GLINTCAP – Great Lakes International Cider and Perry (pear and apple blend) Competition. My favorite, however, is The Flight of the Concord – a 2 year bourbon-barrel aged grape cider that goes down warm and ultra smooth. 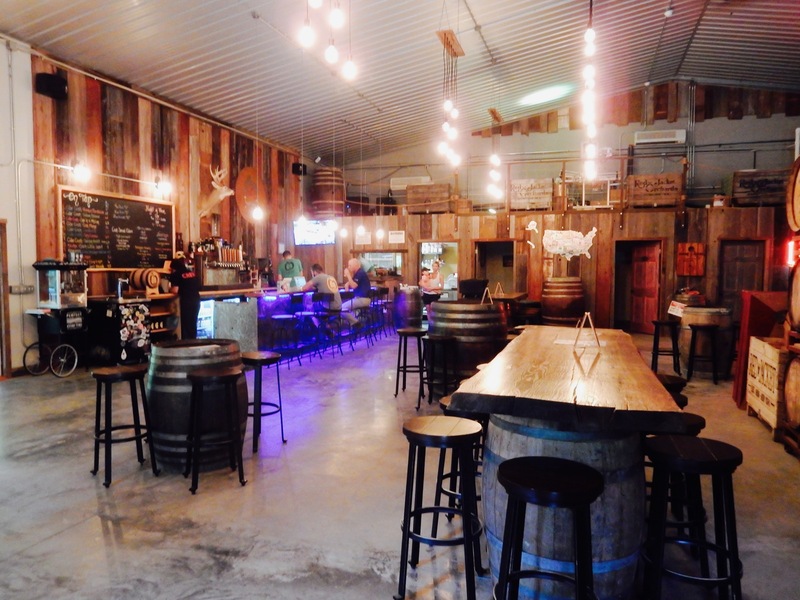 TASTE: Ravine’s Wine Cellar, Keuka Lake. 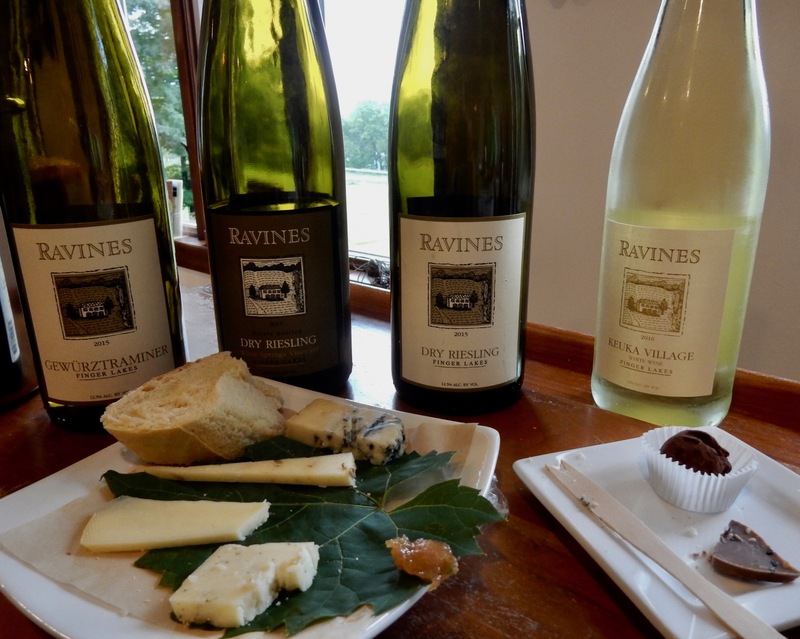 Many would argue that the best place for dry wine lovers is Ravine’s, which has a non-producing cellar/tasting room on Keuka Lake. For the ultimate tasting, go for the cheese/wine pairing – everything made right in this region. Ravine’s crisp Dry Riesling 2015 earned a 91 from Wine Spectator, and its Red Dry Riesling has made it to Wine Spectator’s “Top 100” list for its ’09, ’12, and ‘14’s. Keuka Village White makes a great table wine, its Pinot Noir is mildly spicy/smoky. Peppery Keika Village Red is a blend of Cab Franc and Noiret – a grape developed by nearby Cornell University. For those who want a sweeter experience, try Ayre – a honey-colored sparkling Muscat cooler that tastes like peaches. Perfect for after dinner. 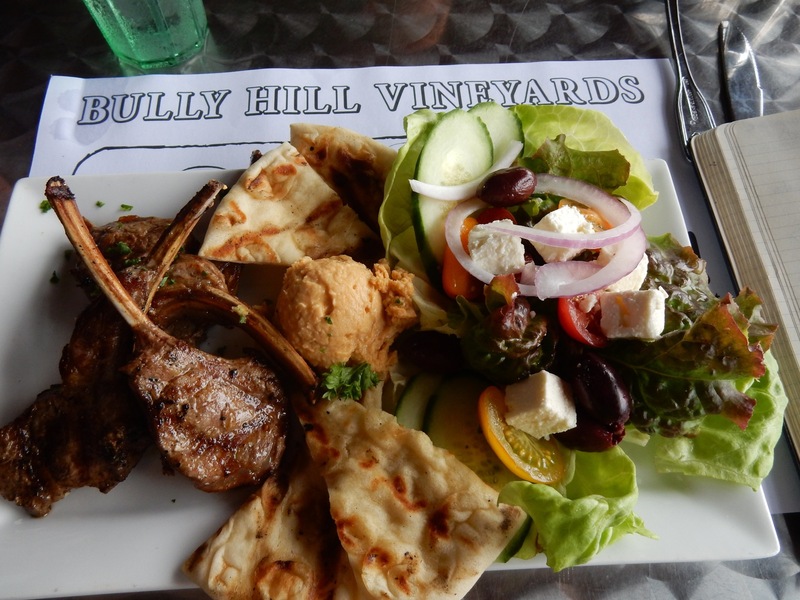 TOUR: Bully Hill Vineyards, Hammondsport. 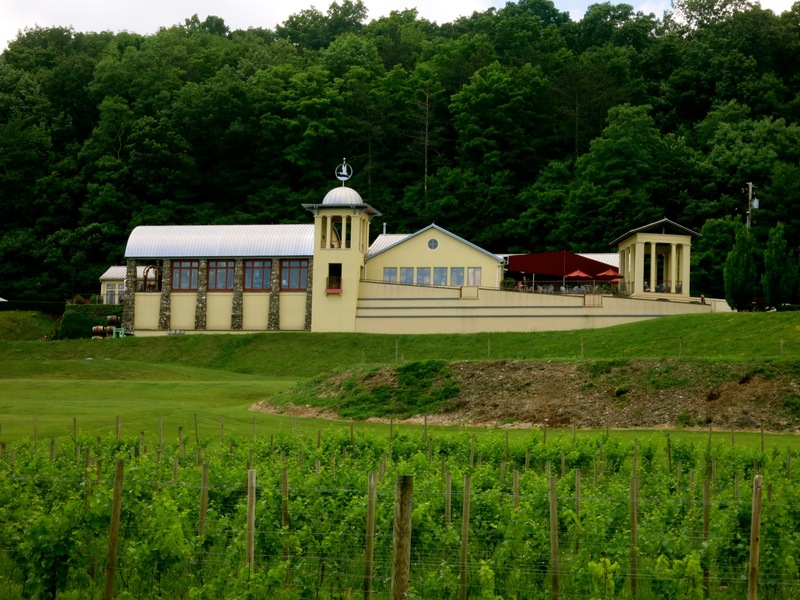 This 40-year-old winery – a massive hillside compound, actually, that encompasses museums, a gift shop, an art gallery, two tasting rooms, a restaurant, and production area – with motto, “Wine with Laughter” has a somewhat rowdy reputation, draws a slew of bachelor and bachelorette parties, and has a back story to beat the band. Walter Taylor, whose family owned Hammondsport’s Taylor Winery (established in 1883), was effectively kicked out when Coca-Cola purchased the company and Taylor name in 1977. In response, Walter opened his own Bully Hill Winery on original Taylor Estate property, bringing over cases of wines labeled with his name on them. Coca-Cola refused to allow the word “Taylor,” even on the labels’ small print, and so Walter held a “Black Out Party” with 18-year-old Cornell Students wielding black markers to cover every single instance of his last name. 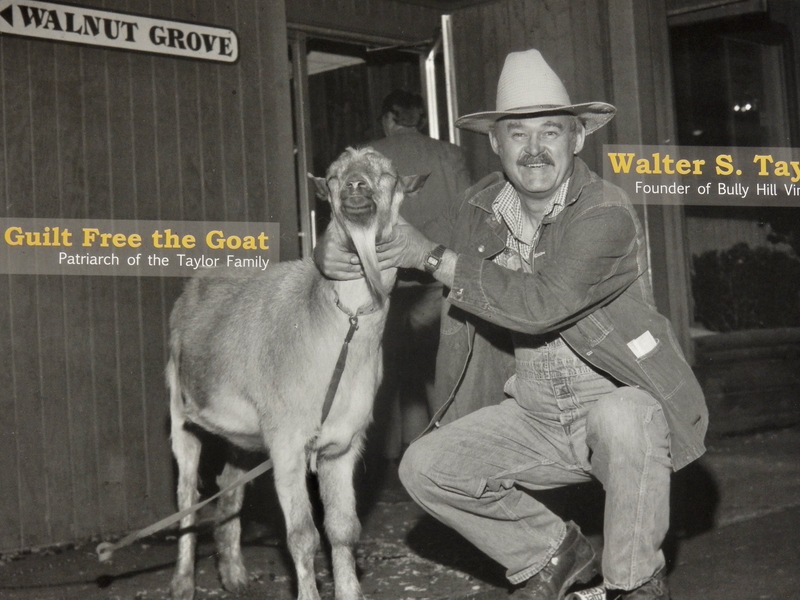 Still miffed, Walter painted the word “Taylor” on a live goat, paraded it through town, and dropped it off at Taylor/Coca-Cola’s front door to prove a point. “Take the goat, you own my name, you own the goat,” he said. Or something to that effect. 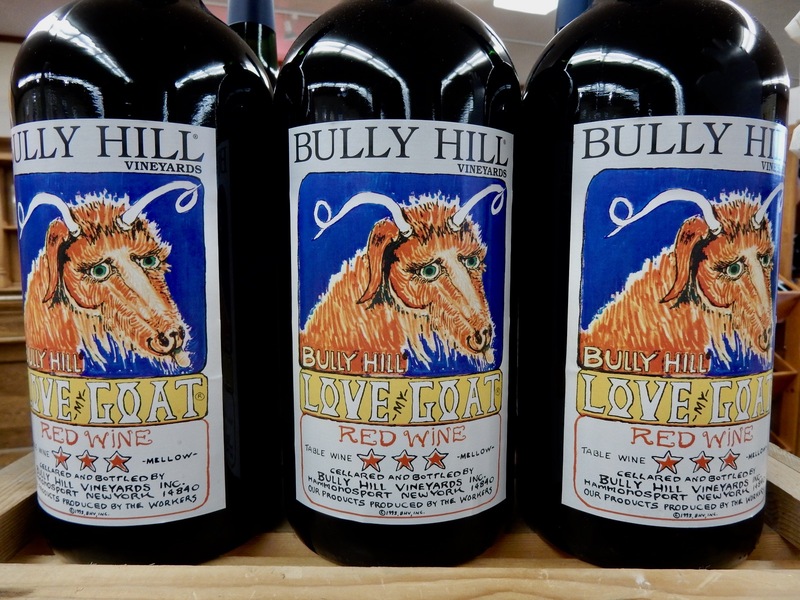 Coke didn’t want the goat, and, dejected, Walter came home, stewed for a few days, and realized he had the perfect coined phrase: “Coca-Cola, you can take my name, but you can’t get my goat.” That goat, named “Gilt Free” is now on many a Bully Hill Wine Label, which feature Walter Taylor’s own artwork as well. When Walter passed away in 2001, his wife and two sons took over the operation, which draws 150,000 people annually. Come for the fun, for smashing views, and really good food. Chefs smoke meats (awesome brisket) right on site and everything on the plate is straight from the farm fresh. 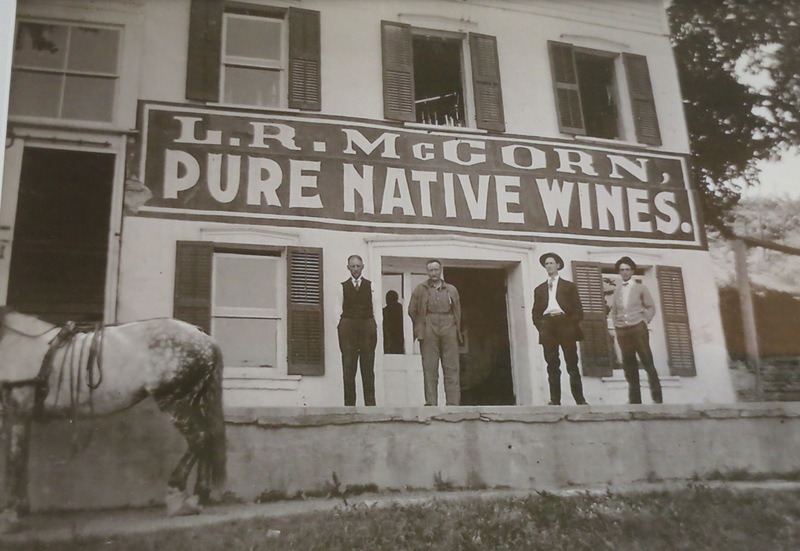 TASTE HISTORY: Pleasant Valley Wine Co. 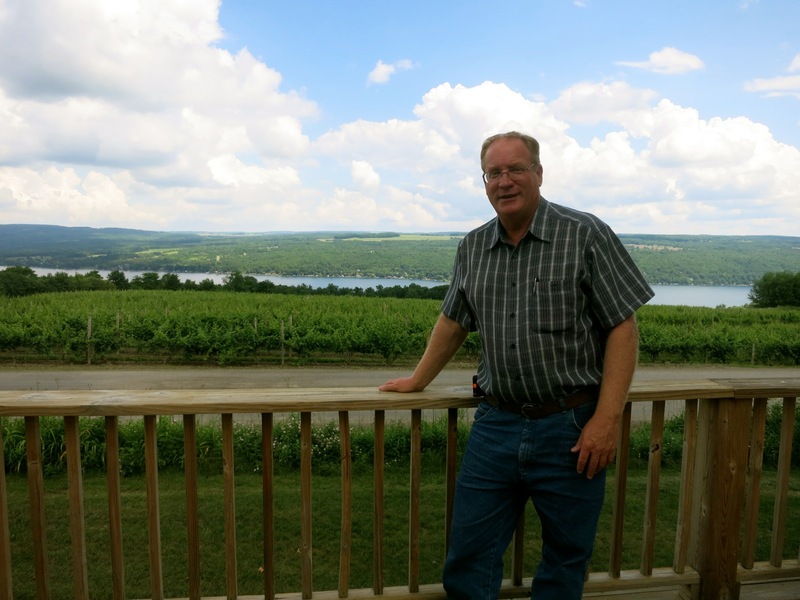 Established in 1860, Pleasant Valley Winery is the Finger Lakes oldest winery and U.S. Bonded Winery No. 1. It’s also known for its Great Western Champaign (yes, Champaign – the French designation was grandfathered in), first sparkling wine to win a top spot worldwide in 1867 (and still in production). Come for a historic tour of the caves and redwood tanks, and of course to taste. 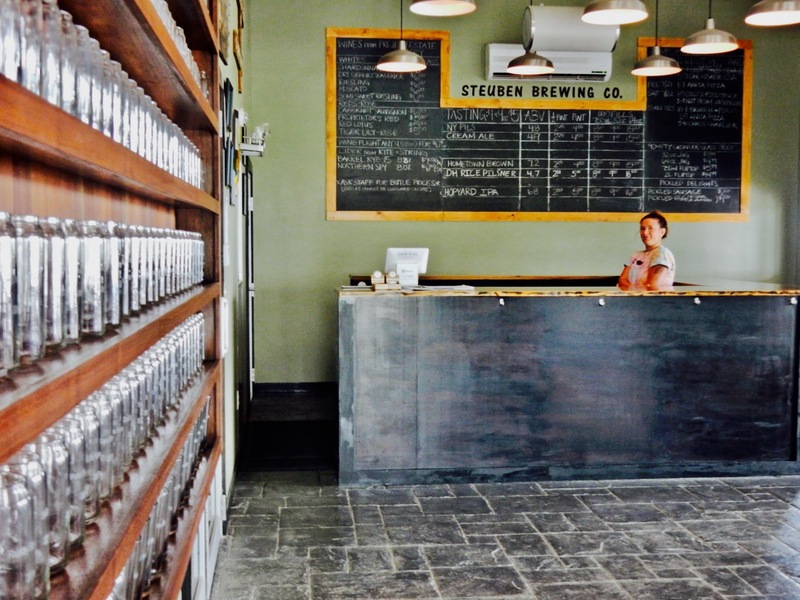 TASTE/BEER: Steuben Brewing Co. It’s all about the water at Steuben, where owner, Chad Zimar’s attention to detail is apparent in the final product. To whit – Zimar painstakingly blends hard and softened water to match what comes from the ground in Ireland for his Irish Red. Chad has enlisted his parents, Candy and Jim, to help him out where needed – a real family operation. Ask for a flight of four 4 oz. pours ($5) to try a few, then head outside on the deck overlooking Keuka Lake. Most popular – NY Pilsner, a light summer brew; Hometown Brown, best all around; and my personal favorite, DH (Toasted) Rice Pilsner. TASTE/BOOZE: Krooked Tusker Distillery. This distillery’s got the hooch. And a great party vibe – with bartender concocting craft cocktails using freshly distilled QKA Kismet Vodka, Imbura Joe Vodka (infused with coffee), QKA Hooch, Hell Hound Hooch (smoked grains), and South Pultney Gin (teamed through 13 botanicals). It’s not your father’s wine-sipping crowd. VISIT: Heron Hill Winery. Sip top Rieslings and twenty other wine varieties inside a vast wine barrel. At least that’s what Heron Hill’s tasting room is built to look like. One of the most innovative buildings in the Finger Lakes designed by Charles Warren, the assemblage of architectural styles incorporates a barrel, a silo and other elements of the region. Wine and Spirits Magazine June 2014 issue named Heron Hill Dry Riesling one of the Top 100 Value Wines of the Year (Under $15) – a bargain for this very flavorful drinkable white. 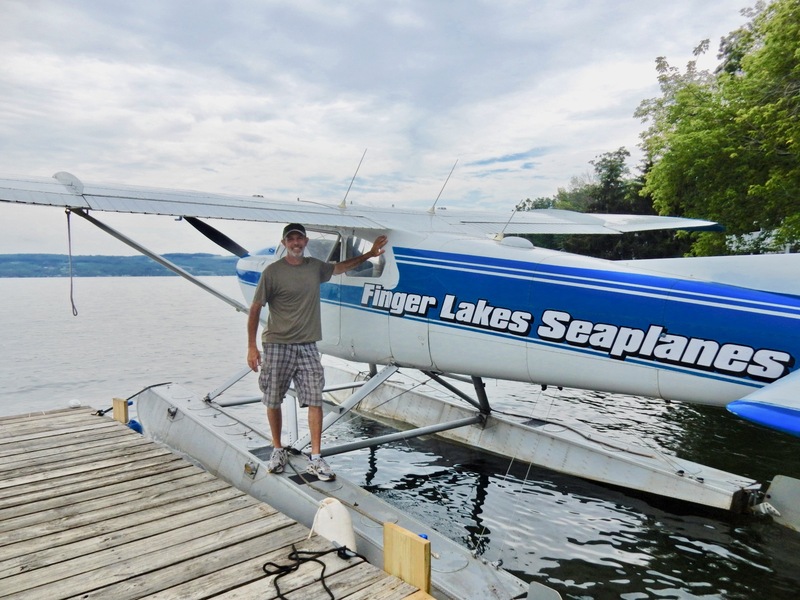 FLY: Finger Lakes Seaplanes. Take 30 a minute flight over Keuka Lake, or an hour flight to both Keuka and Seneca Lakes for the thrill and optimal aerial photography. Owner/pilots Bob Knill and Andy Sable will fly year round “as long as there’s no ice on the water.” Fall foliage, naturally, will be “huge.” 30 minutes $180 + tax for 3 adults, 1 hour $325 + tax for 3 adults. Daily 9am-7pm. BOAT/JET SKI: Keuka Water Sports. The warmest of the three largest Finger Lakes, Keuka is usually calm and great for SUPing as well as boating. Rent jet skis, pontoon boats with slides, and other water craft at Keuka Water Sports. 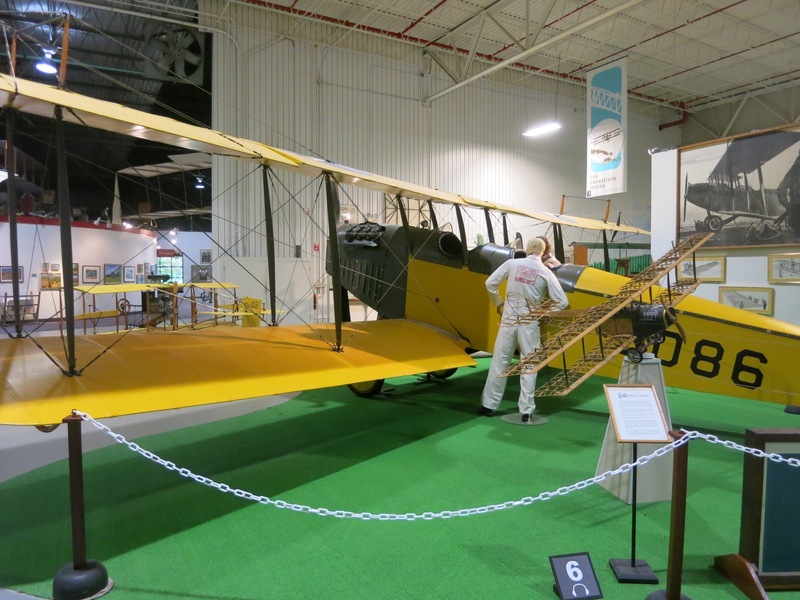 VISIT: Glenn H. Curtiss Museum. Museum curators have managed to assemble 25 full-sized aircraft, a couple of dozen automobiles, a good number of boats and countless bicycles and motorcycles in a 57,000 sq. foot former wine warehouse. 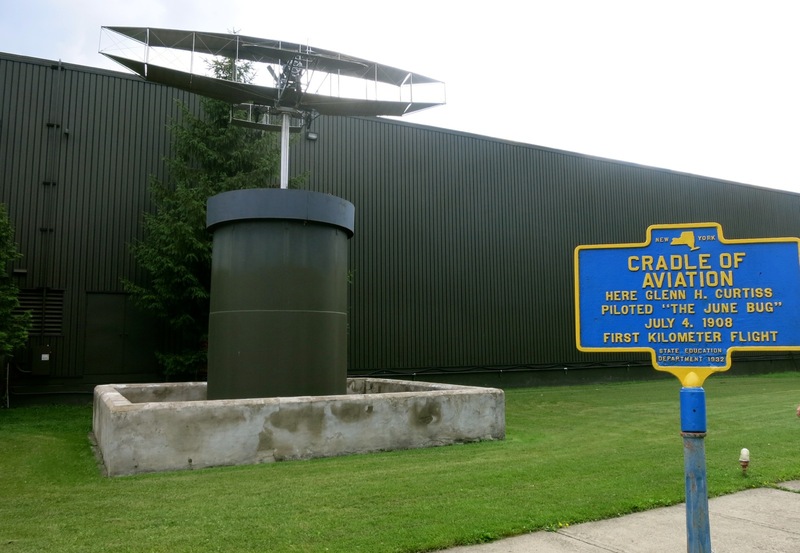 It’s a veritable Smithsonian of early flight and experimentation, concentrating on the life, time and accomplishments of Glenn H. Curtiss, born in Hammondsport. 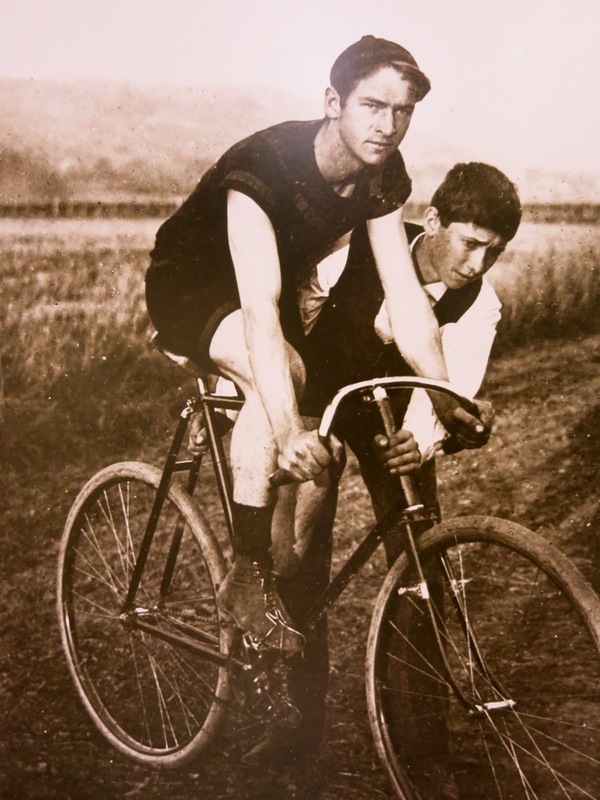 The “Father of Naval Aviation” (Curtiss sold the Navy its first plane) began his career racing and building bicycles and lightweight-engine motorcycles. On July 4, 1908, Curtiss flew the first publically announced and witnessed flight (the Wright-Brothers’ puddle-jump was done privately) in his “heavier than air” aircraft, June Bug. Curtiss palled around with the likes of Alexander Graham Bell, was considered the “Fastest Man on Earth” in 1907 when he reached a speed of 136.4 miles per hour on his motorcycle in Orlando, FL, built the Hercules, Marvel and Curtiss Motorcycles which at the time outsold both Harley and Indian combined, and developed the town of Hialeah, FL in 1921. Curtiss died from appendicitis at age 52 and is buried in Hammondsport. Monday – Saturday 9 am to 5 pm Sundays 10 am to 5 pm in Winter open till 4pm. $8.50 adults, $5.50 students. 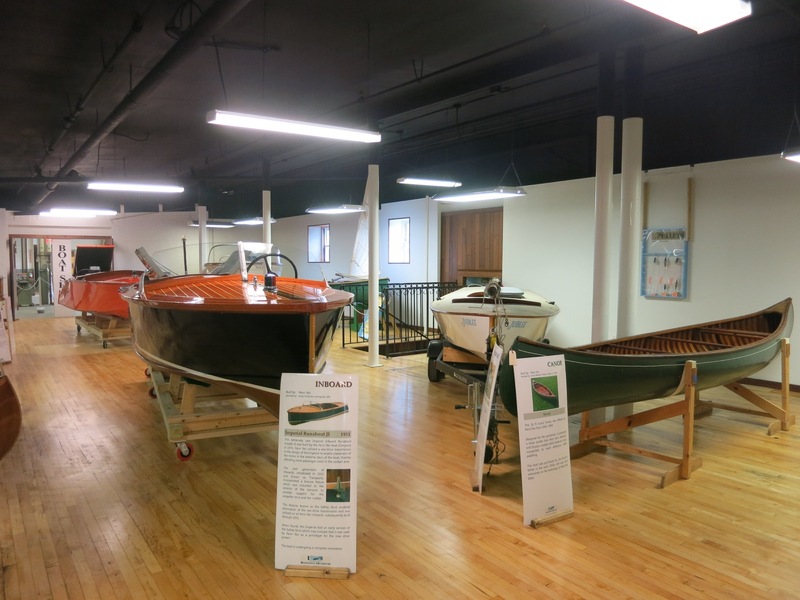 VISIT: Finger Lakes Boating Museum. 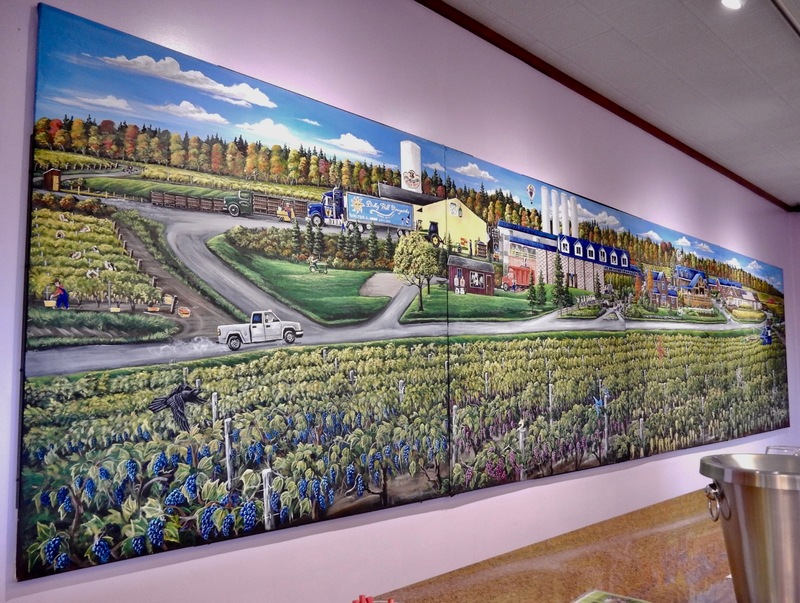 This freshly opened museum, housed in the former Taylor Winery, celebrates a Finger Lakes industry of yore. 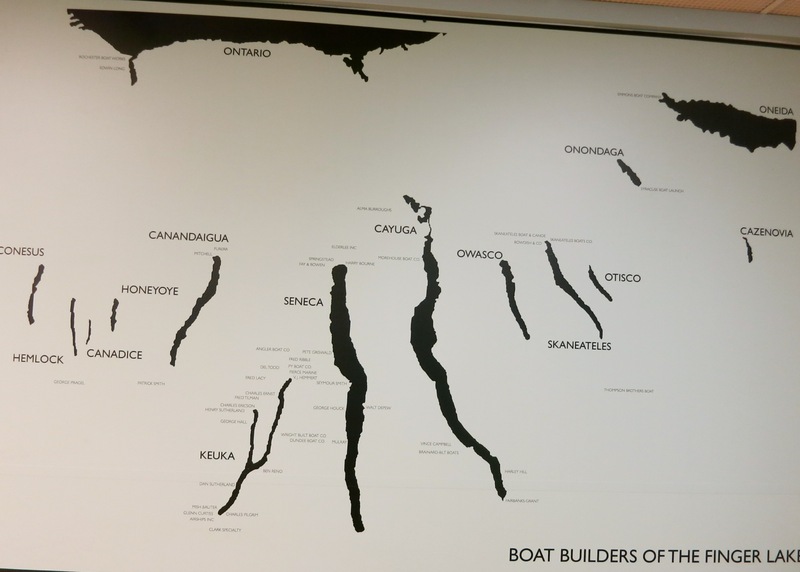 Before fine-winemakers, there were boat-builders – dozens of companies large and small situated all around the Finger Lakes. Penn Yan, Skaneateles (pronounced “skinny atlas”), Fay and Bowen, Thompson, Morehouse and many others produced beautiful wooden vessels that plied these long narrow bodies of water. If you are at all interested in running your eyes over gorgeously crafted boats, or taking a class on boat building, or are just curious about old abandoned winery buildings, you’ll appreciate this museum-in-process. On display are examples of iconic Finger Lakes boats: a Ben Reno Keuka Lake Trout Boat with sloped stern to prevent fishing line from snagging, motorboats in three configurations – inboard, outboard and a combination of the two, a 1905 double-ended rowboat that looks like a canoe, a 1990 Dan Sutherland, and a whole display of steamboat models representing the boats integral to the development of the Finger Lakes. 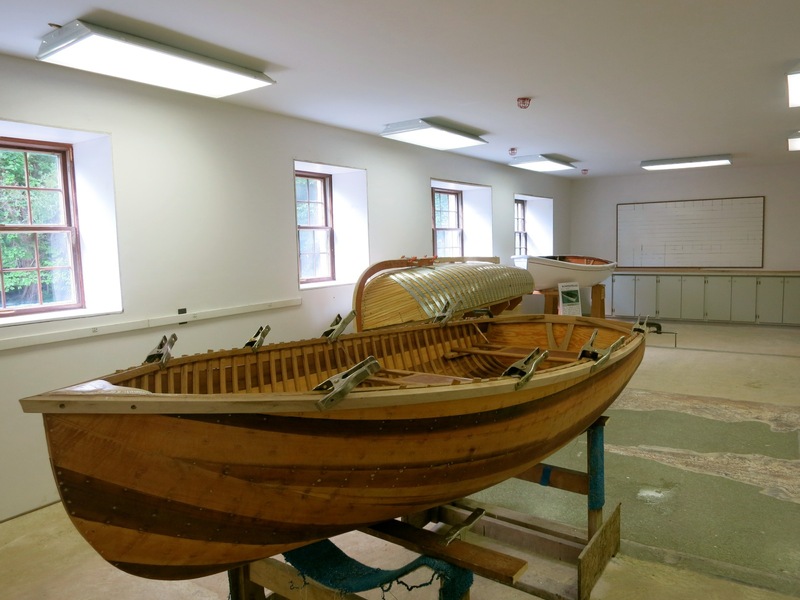 Wooden-boat restorers work on small craft in a room where visitors can also take boat-building workshops to learn the ins and outs of measuring, forming and finishing (in canvas and silica wrap) a small dinghy from experts like famed boat builder, Patrick Smith. Check website for times and events. 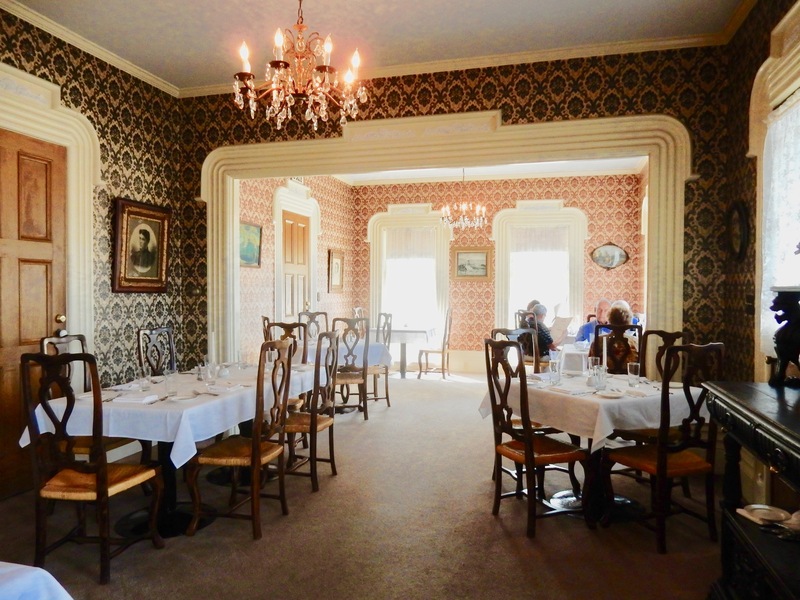 EAT: Pleasant Valley Inn, Hammondsport. Built in 1848 as a private house, the New Orleans-style inn features a cozy, but busy bar and pub room, in addition to a fine dining restaurant. So, you can take you pick to be as casual or fancy as you’d like. It’s all good here.The fancier dining room hasn’t changed much in 25 years – still with floral wallpaper, tapered candles (yes, real flames! ), and a menu featuring traditional fare like Rack of Lamb ($38), Chicken Milan ($23), Hand-Cut Steaks ($28-$38), Baked Onion Soup ($10) and the like. In the hands of the magical Chef Drew Miller, who makes everything – even the mayonnaise – from scratch – these long-term favorites are enhanced by innovative sides, which elevate the meal to a true culinary adventure. EAT: Union Block Italian Bistro, Hammondsport. This charming little Italian spot wins kudos from locals and seasonal visitors. EAT: Blue Heron Cafe at Heron Hill. Amazingly fresh, lake views, great Rieslings, this little café is the bees-knees for an al fresco lunch with just picked from the ground salads. 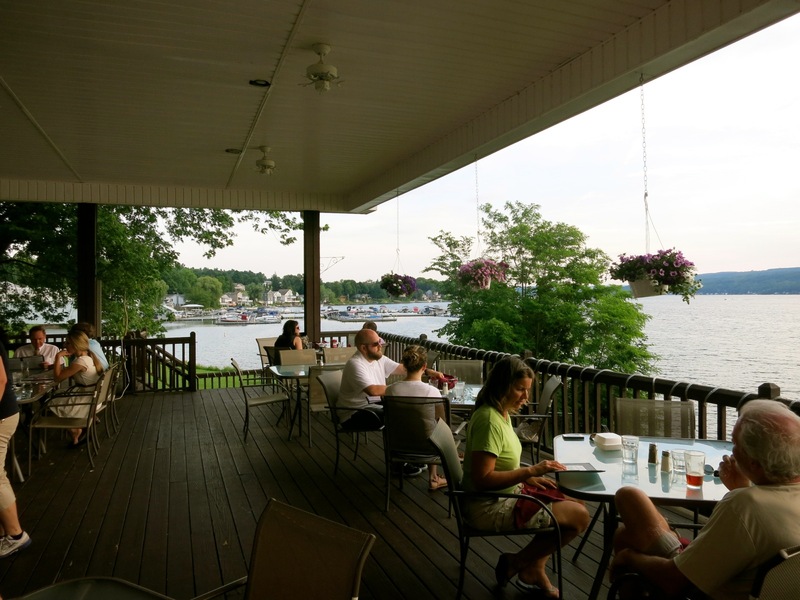 EAT: Top of the Lake, Penn Yan. At the northern end of the easternmost “Y,” this little nondescript spot puts you in perfect position for a serene, colorful sunset. You’ll watch water-skiers through lush hanging plants and gaze at marinas while dining on dishes like “Chicken French” egg-battered in sherry-lemon-butter sauce ($16), which comes with potato and salad for an amazing deal. STAY: Pleasant Valley Inn. For the money, and for its exceptional cuisine, there’s nothing better than the Pleasant Valley Inn. This Pepto-pink roadside tavern/inn is not situated on a lake or mountaintop. At the juncture of two busy streets several miles from the shores of Keuka Lake, it’s easy to whiz past on your way to the wineries. But that would be a big mistake. Such a mistake, the Mavens have deemed Pleasant Valley Inn a Maven Favorite, with a colorful and complete review HERE. STAY: There are several dozen lodgings around Keuka Lake. Other recommendations include the eclectic Black Sheep Inn in Hammondsport, Blushing Rose B&B, and Moonshadow B&B high on a hill. Oh yes! 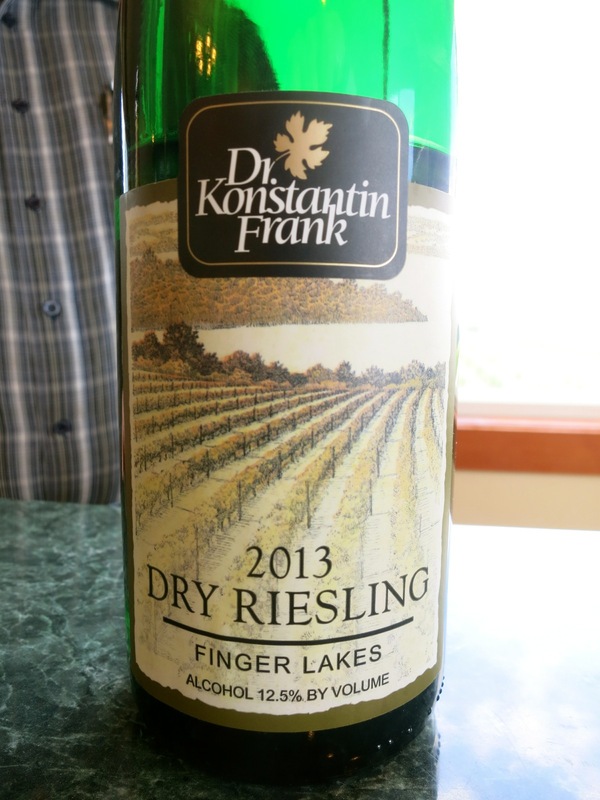 Haven’t been to Keuka before, but have enjoyed Konstantin Frank Riesling before. Need to put this on the list for a weekend getaway! Thanks for sharing. Made the Finger Lakes Region, Keuka Lake area, our place to retire. There is sooo much to do here during all 4 seasons. We traveled all around the country looking for a place to retire and the Finger Lakes has it all. Scenery is beautiful, wine is superb, and people are the friendliest.